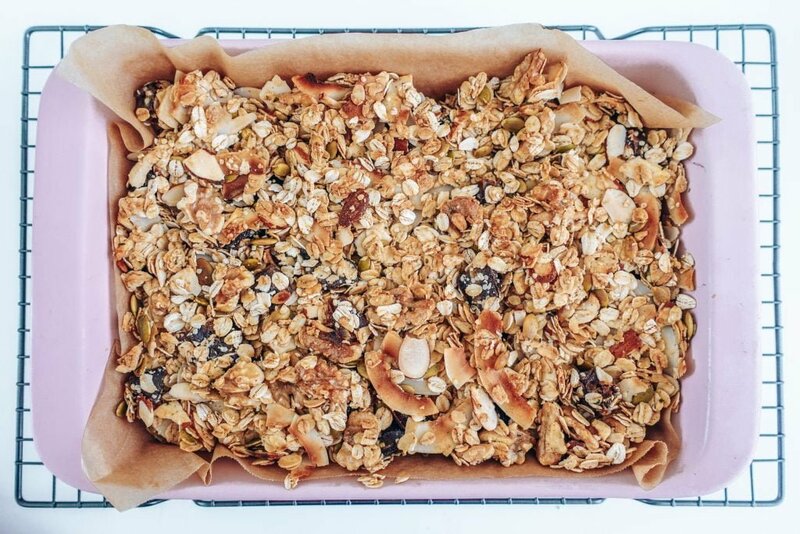 This homemade Toasted Maple and Coconut Muesli is one of my all time favourite recipes. Easy to make, you can whip it up and enjoy it as a delicious breakfast with your milk of choice, as a cereal topper, with fruit, yoghurt or simply as a yummy snack straight from the jar. 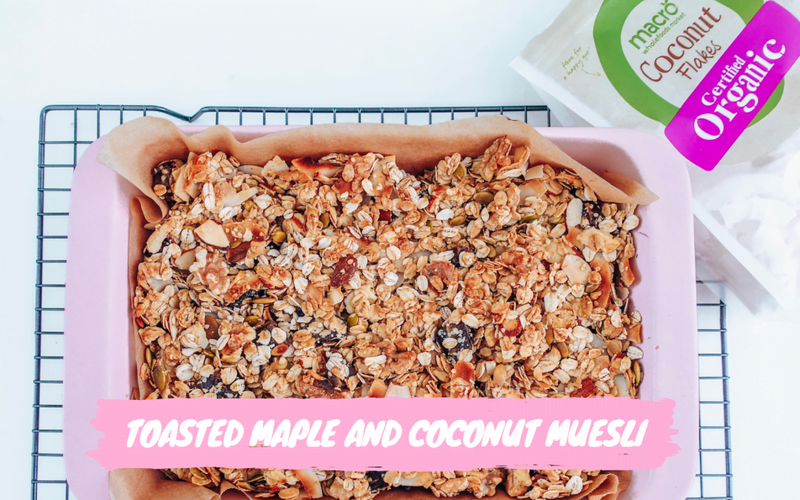 Using Macro Organic Coconut Flakes, only available at Woolworths, this muesli has a tasty coconut maple flavour and the added benefits of hemp seeds, walnuts and almonds, it is a nourishing muesli with fibre for a happy gut. 2. 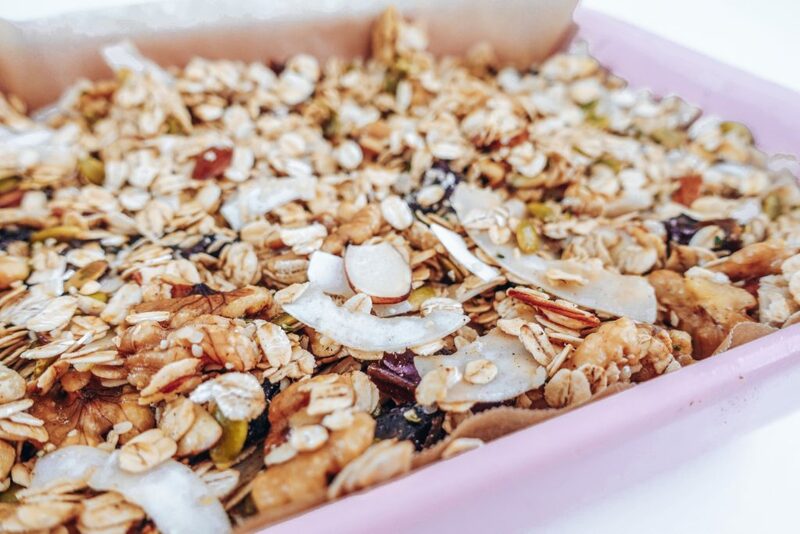 In a large mixing bowl, combine Macro Organic Rolled Oats, nuts, seeds, Macro Organic Coconut Flakes and dates. Stir well. 3. In a separate mixing bowl, whisk together the maple syrup, vanilla, cinnamon, Macro Organic Hulled Tahini and oil until combined. Pour over oats mixture to mix to evenly coat. 4. Spread oat mixture over evenly onto a lined baking tray. Bake for 15 minutes or until golden brown, mixing and re-flattening as needed during baking. 5. Remove from oven and allow to cool. 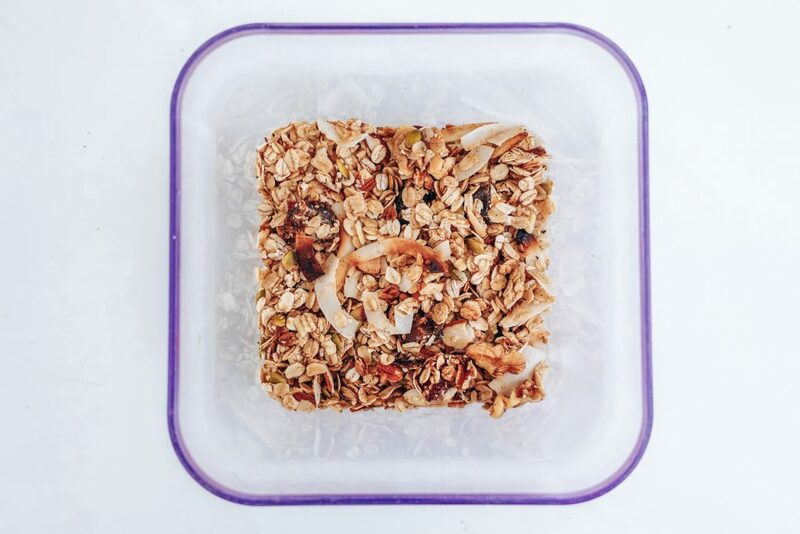 Store in an air-tight container and enjoy as a breakfast muesli on it’s own, as a breakfast cereal topper with yoghurt and fruit or as a snack on the go. Note: If you wish to make more, you can simply double or triple the ingredients. Editor's Note: this post is sponsored by Woolworth’s as part of my ongoing partnership with Macro Organic.